Fancy a day out which involves all you can imagine about cakes and baking? 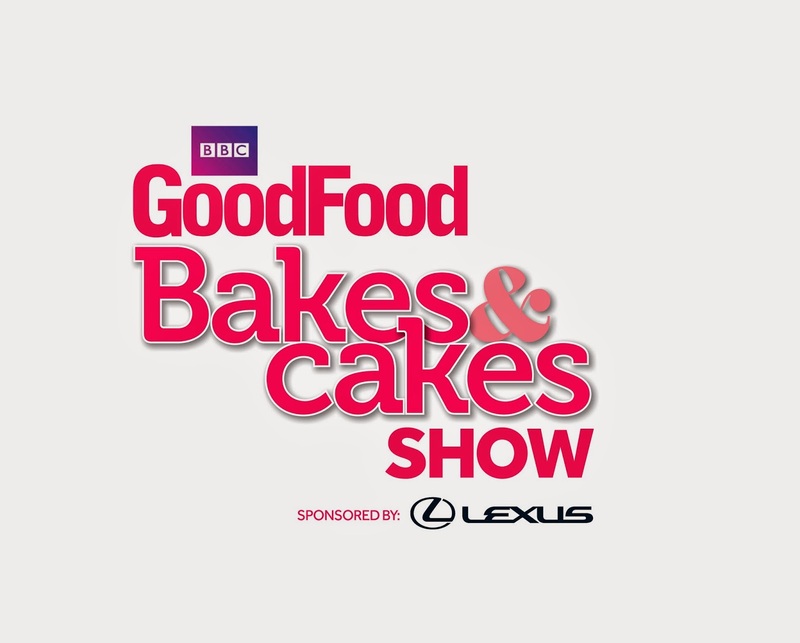 It's time then to grab your tickets for the BBC Good Food Bakes and Cakes Show, sponsored by Lexus – complete with 25% off the ticket price until 30th June 2014! Whether you're a novice or a baking master there's going to be something for everyone. Of course there will be plenty about cakes but if you want to brush up on your bread making this is the show to go to. Throughout the three days there will be demonstrations and master classes plus a host of stalls to pick up those essential tools, tins and ingredients at great show prices. I think the most exciting part of the show is the chance to see your favourite TV bakers in the Bakes & Cakes Theatre for live 30 minute baking and technique demonstrations. Your Great British Bake Off hosts Mary Berry and Paul Hollywood will be attending as well as previous winners and finalists Jo Wheatley, John Whaite and Holly Bell. If you love your chocolate then Paul. A Young's demo will be a must see. For some stunning cake crafting and decorating make a note of Mich Turner's shows. Don't miss out on your chance to get 25% off the ticket price. Simply go the BBC Good Food Bakes and Cakes Show website and when you book your tickets enter the promotional code EBPAR1. This offer is only valid until 30th June 2014 so book your tickets today! Since the event runs over half term children under 16 are FREE! Please note that if you wish to sit in the Bakes and Cakes Theatre then children aged 0-5 must sit on an adult's lap. If a seat is required it will need to be purchased by calling the Box office. Any children aged 6-15 are free to enter the show but must pay a small fee to purchase a seat in the Bakes and Cakes Theatre. In the meantime happy baking and I hope to see you all there! No payment has been made for this post. Images used with permission of BBC Good Food Bakes and Cakes Show.